Le Guin was a popular Si Fi and fantasy writer and wrote the standard themes of her chosen genres: sorcery and dragons, spaceships and planetary conflict. Her books were translated into 40 languages and more, and read by millions. Le Guin focused on gender and race in particular as most of her characters are people of colour and she used alien to examine culture and society in reality. You can reserve Le Guin’s titles here. Woolf’s works have been widely read and been translated into more than fifty languages. Virginia’s works, such as A room of one’s own, To the lighthouse, Three Guineas and Mrs Dalloway inspire generations of feminists. You can reserve Virginia Woolf’s titles here. 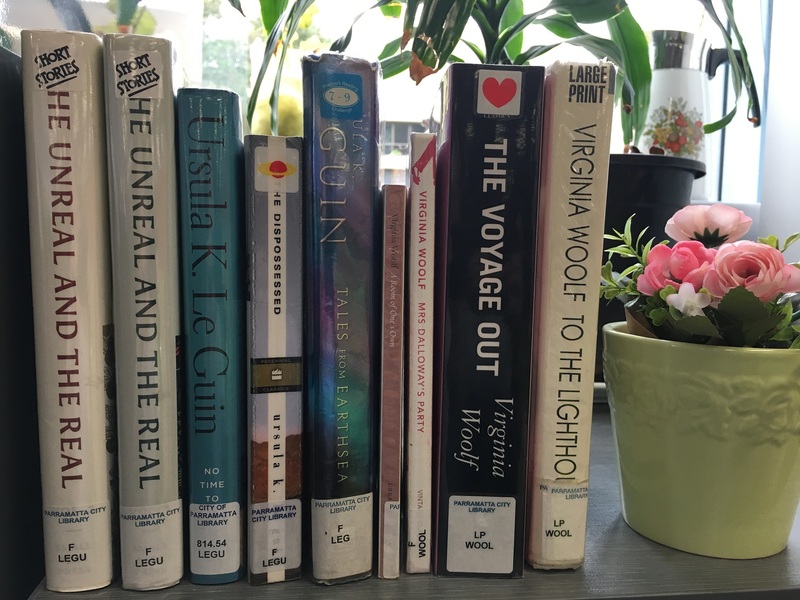 This entry was posted in Book Reviews and tagged City of Parramatta Libraries, Ursula K. Le Guin; Virginia Woolf by admin. Bookmark the permalink.